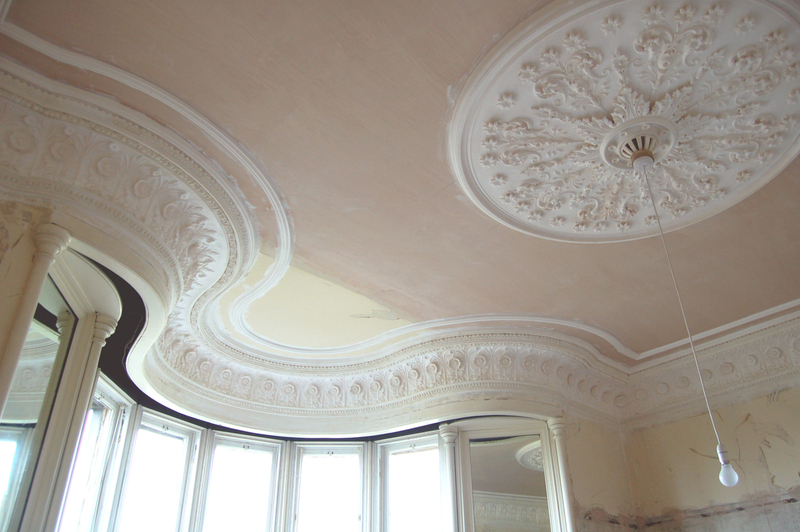 The project required the reinstatement of missing period features to a fine Greek revival house as well as all necessary repair and new services. The stair had its cast iron balustrade restored and panelled doors and cornices were put back as required. The project included re-roofing and masonry repairs. The fine carving to the entrance doorway was restored including the full replacement of badly eroded elements. A new open plan kitchen, morning room was created and a large glazed garden room with timber lining and encaustic tile floor was added. New decorative etched glass panels were designed for various doors and windows.